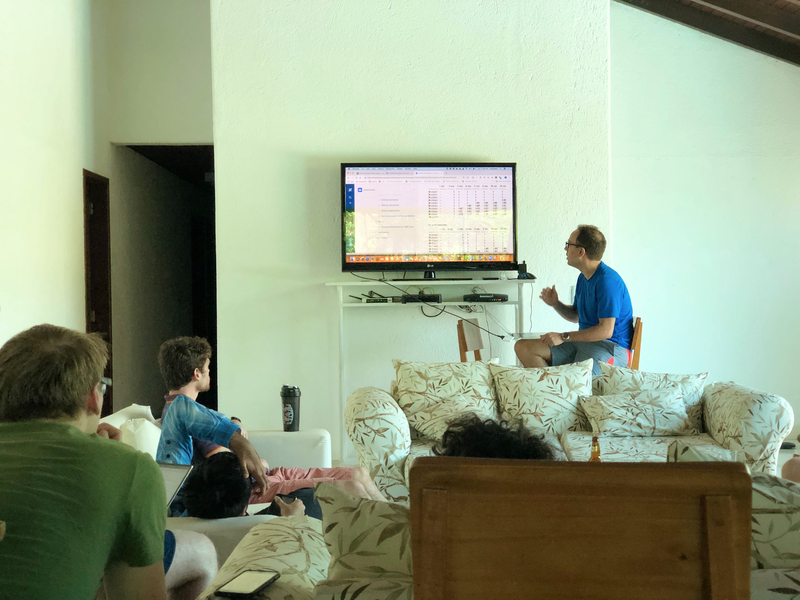 Senior Research Engineer Leo Passos planning with the engineering team. 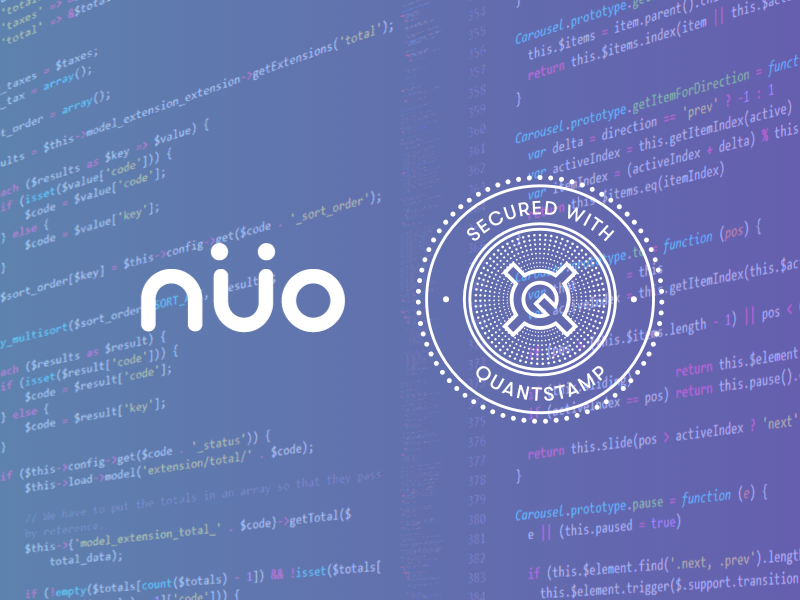 In January, we continued testing and iterating many of the features which are coming in the next version of the Quantstamp Protocol. 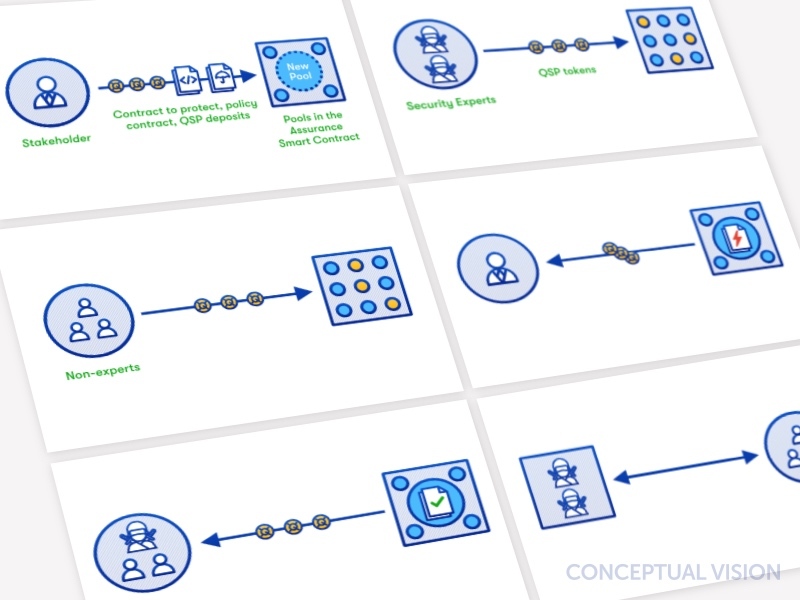 We continued end-to-end testing of our policing nodes which are designed to detect and nullify the actions of scanning nodes that are malfunctioning or being operated by bad actors. Once our policing nodes are ready, we will be able to allow anyone to permissionlessly run a scanning node. We deployed our Bounty Protocol onto the Ethereum testnet. We are developing the UI for our Assurance Protocol, and are in the process of auditing its code for bugs and vulnerabilities. Besides progress on the development side, we also held intensive planning sessions to clarify our goals for this current development sprint. Held typically at the beginning of each quarter, these planning sessions are part of our iterative development process. They help us stay accountable to our roadmap and define both our technical milestones and goals as a company. In January, we on-boarded Lee Martinet onto our team. 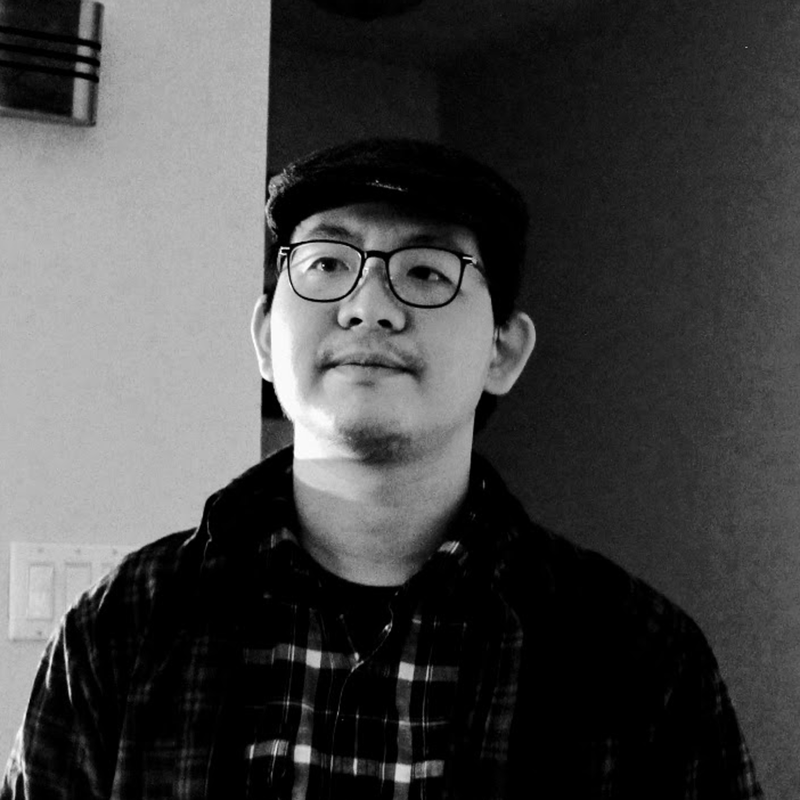 Martinet is currently a Master student in Math and Computer Science at the University of Waterloo and joins us as a part-time software engineer out of the Toronto office. Our CTO Steven Stewart recently did an in-depth AMA with Unitimes about dealing with bugs in smart contracts. Unitimes is a high-quality Asia-based blockchain media company that has also interviewed Vitalik Buterin, LivePeer and Truebit. 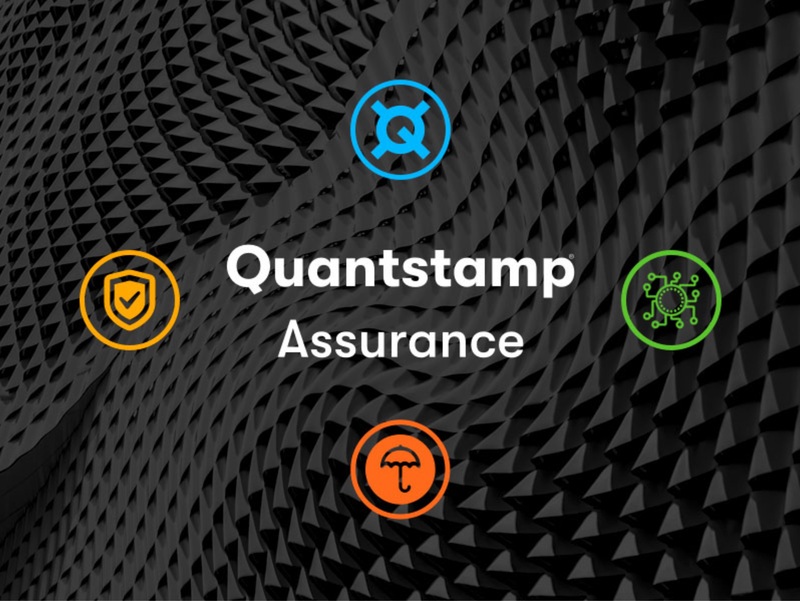 Steven covered many frequently asked questions about Quantstamp and smart contract security, as well as interesting new ones asked by the Unitimes community. Read the full interview here. We graduated from Fujitsu’s Accelerator Program. Fujitsu is Japan’s #1 IT service provider by revenue. Their accelerator program has been running since 2015 and their most recent batch is focused on Blockchain and AI. Our program ran from September to January and allowed us to network with other blockchain startups, as well as Japanese enterprises interested in the space. 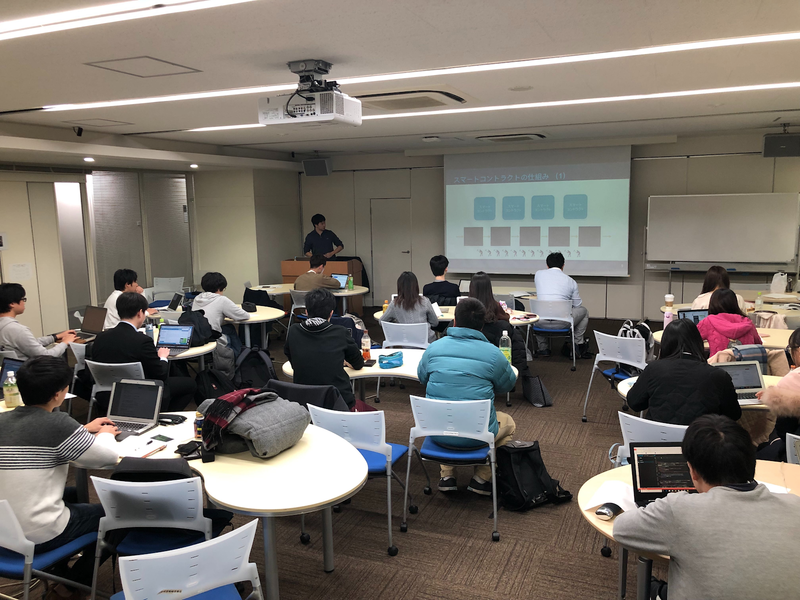 Our forward deployed engineer Yohei Oka taught a lesson as part of a 3-day fintech and blockchain course at Tokyo University — the top university in Japan. 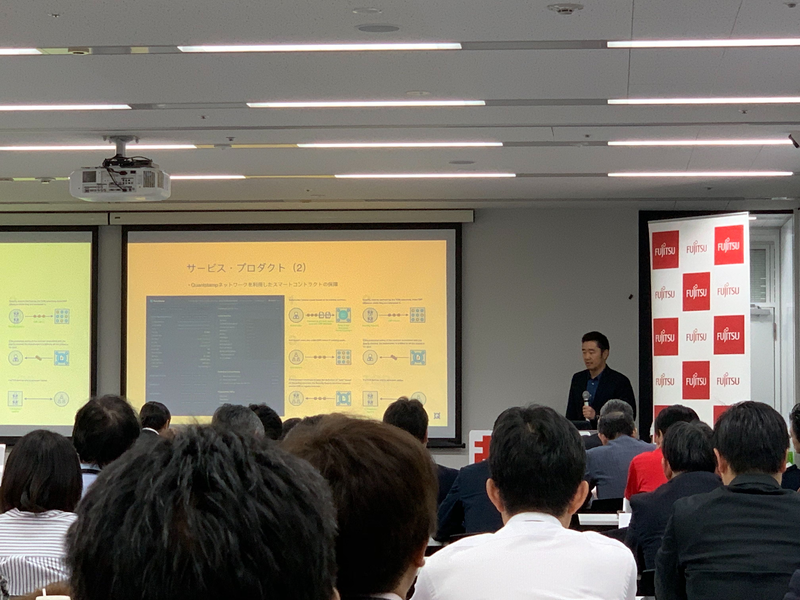 Yohei’s segment was a technical introduction to smart contracts and smart contract security. 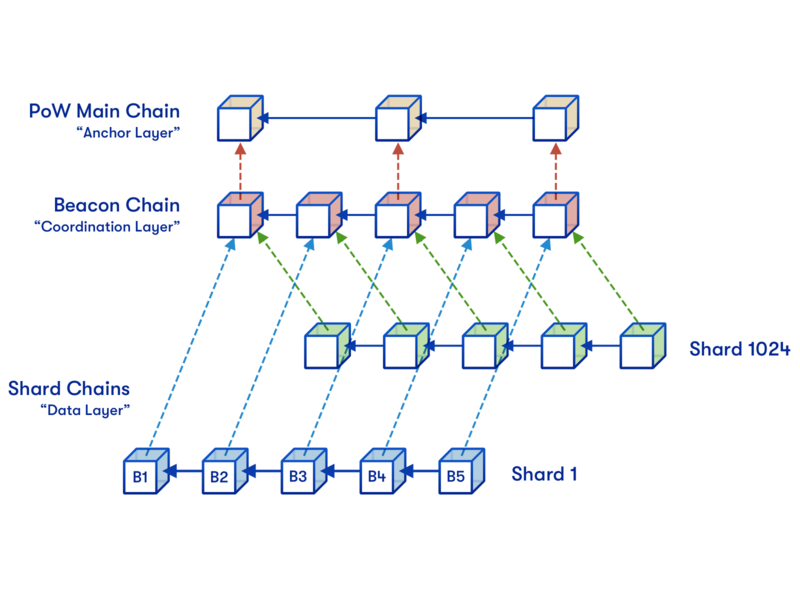 We think that blockchain courses in mainstream educational institutions like this one are key to driving the next wave of blockchain innovation. 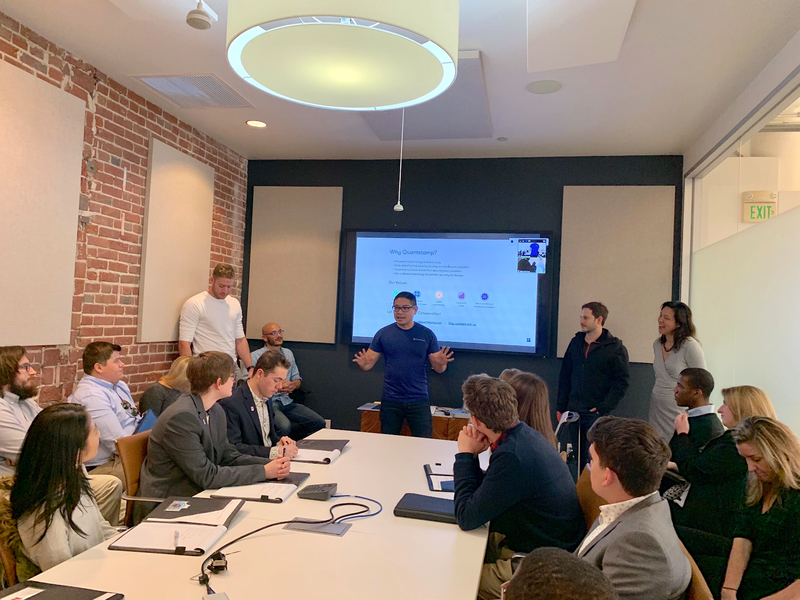 We hosted Temple University Fox Business School students at Quantstamp HQ in San Francisco. Our team explained the basics of blockchain and smart contracts and how to make a meaningful contribution to these new and exciting fields. 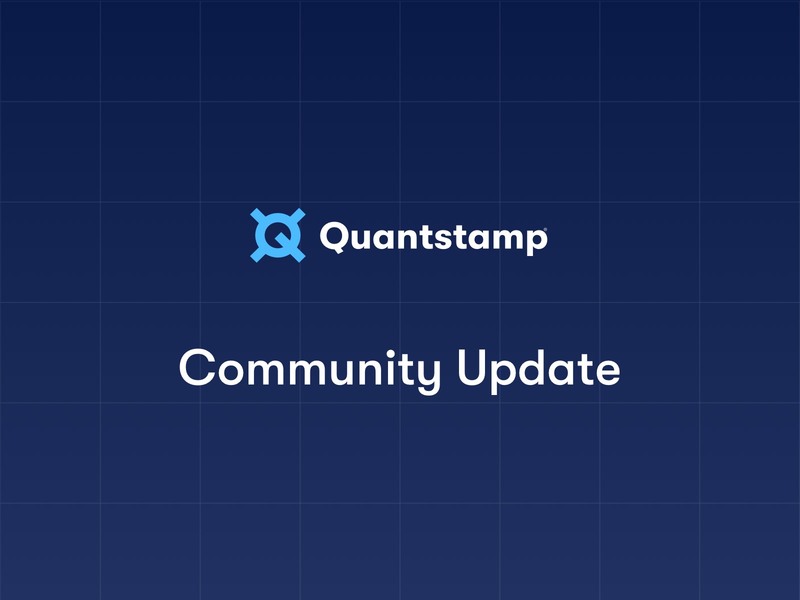 We also shared about Quantstamp, our mission, values, protocol, products, and services. Besides educating students, we also make efforts to reach out to business leaders across industries. 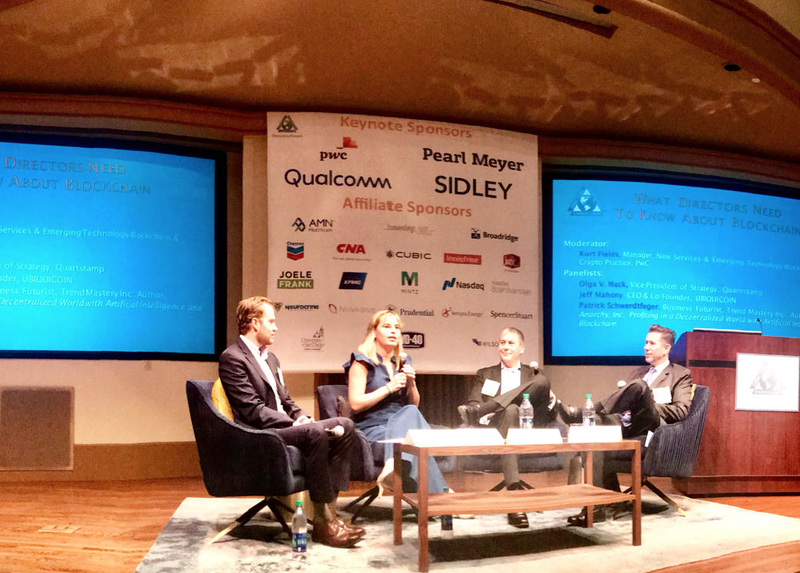 Our VP of Strategy Olga V. Mack spoke at the 14th Annual Directors Forum at the University of San Diego School of Business. She educated directors and executives from public and large private companies about secure innovation in blockchain and smart contracts. 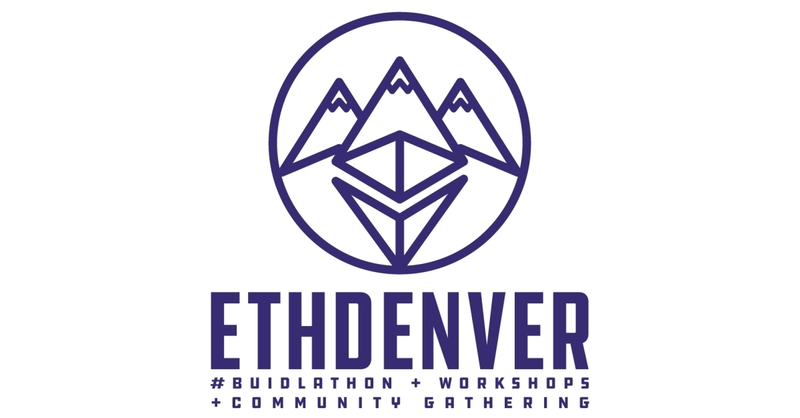 The Quantstamp team will be hacking at ETHDenver, Feb 15–17 in Denver, Colorado. Follow us on Twitter to see what we’re up to then. If you’re at the event, you’re also welcome to drop by and say hi! We are hiring for a variety of positions globally. Check out our careers page. 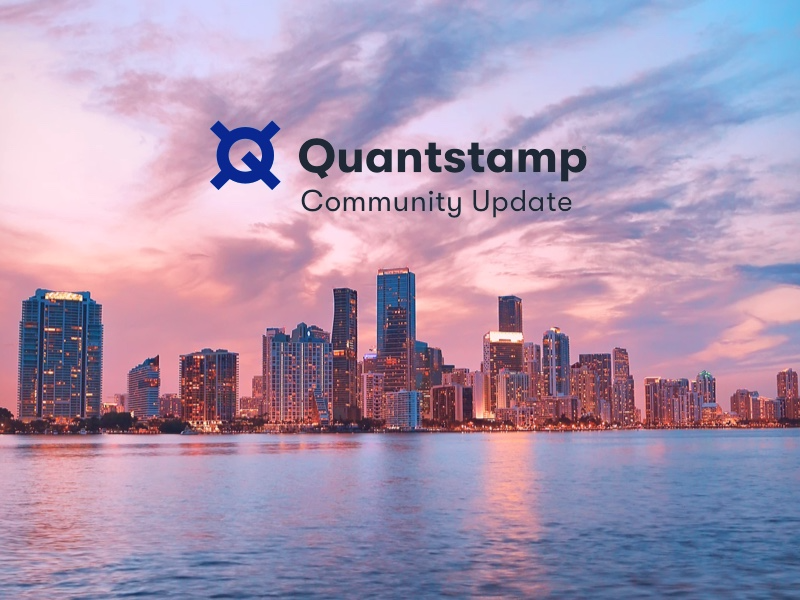 Don’t miss out on the latest from Quantstamp. Subscribe to our newsletter, follow us on Twitter, or join our Telegram.